CPL has been working in collaboration with international thoroughbred breeding enterprise Darley to bring together one of the most prestigious equestrian events of the year – the annual stallion parade. The event, held at Dalham Hall Stud in Newmarket – headquarters of HH Sheikh Mohammed bin Rashid Al Maktoum’s global operation – is a thank-you to those who have bred to Darley’s stallions this season and gives them a close-up view of the stars on the roster. The occasion coincides with the Darley-sponsored July Cup meeting at Newmarket – the home of racing. CPL has worked with Darley since 2008 and, for this year’s parade, has been involved in bringing together a vast range of graphics, including the almost life-size photographs of the stallions in the main marquee. The team at CPL has also produced the parade brochure, branded pens and all other print material. 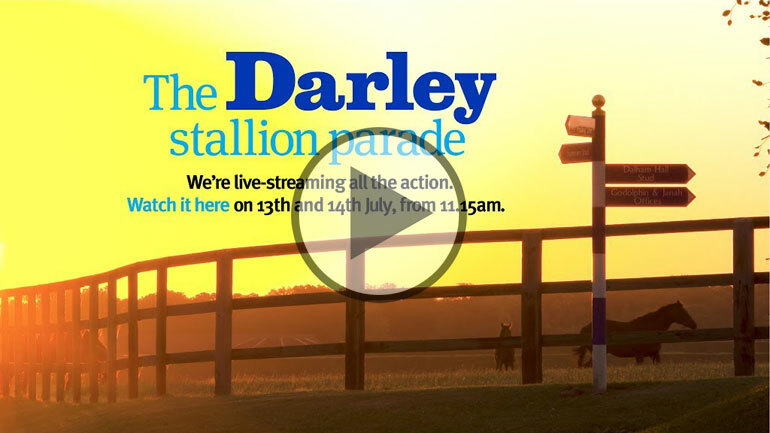 Our video team, which has set up a live stream to be hosted on the Darley website, will be filming the event. They have also created a preview video for the website and social channels, along with a number of other films to promote the stallions. Neil Adcock, director – client services at CPL, who heads the Darley team, says: “The stallion parade is always a very busy time of year for us – every member of the team is involved in some capacity. It is an exceptional event that puts the horses at the heart of the day – as it should – and we’re delighted to be part of it."